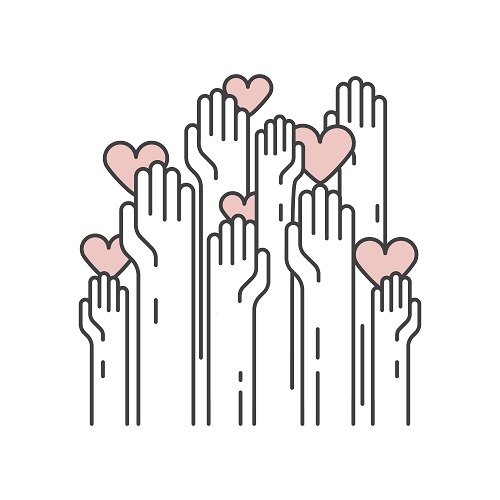 Volunteers are attracted to support a Nonprofit because the Mission Statement, philosophy, programs and initiatives align with their personal values and beliefs. Volunteers with charitable or philanthropic or Nonprofit organizations become one of the most important and valuable resource for an organizational development. Volunteers at Humane Society for Southern Arizona have donated more than 150,000 work hours in a year. When volunteers invest their time it is because they fulfill their commitment for a better community and Nonprofits have to tap this element and make the volunteer feel special. The notion of stereotypical volunteerism has changed over the years. A volunteer may be a teenager learning to manage responsibility by caring for wildlife or an executive sharing management skills with the nonprofit’s team or a retiree enjoying being a volunteer reader at the community library or old age home. In a publication by University of South Carolina College of Liberal Arts’ Institute for Public Service and Policy Research, the author Richard D. Young states 50 % of management in public sector in US believes that volunteers provide substantial cost-savings and productivity gains to organizational endeavours and enhances community goodwill. The Independent Sector, a coalition of philanthropic and charitable organizations, states that volunteering adds value to services, promotes social harmony, and creates public trust. According to the Corporation for National and Community Service, about 63 million Americans gave 8 billion hours of volunteer service worth $193 billion. Volunteers with specialised skills and knowledge enrich the organizational mission by bringing in credibility and add fresh perspectives and constructive criticisms. Many charitable nonprofits have no paid staff and are run entirely by volunteers. In 2015 one quarter (25.3%) of all Americans volunteered for a cause-related organization. Increasing volunteerism for your Nonprofit shall not just promote goodness but shall add multi dimensional skills and talents to your Nonprofit. It is essential to give complete details of the volunteering opportunities of your Nonprofit on the website or advertise it through local bulletin boards, flyers, posters or local Radio channels. Mention clearly the various volunteering activities and how it encompasses the vision and objectives of your organization. 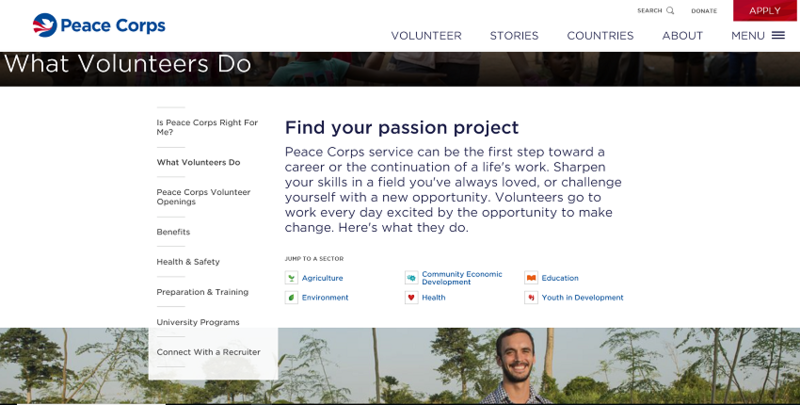 Peace Corps gives an exhaustive account of what volunteers can do, the projects they can be involved in, share volunteer stories which acts as a great motivational resource and has the “Apply” button for volunteer openings. Takeaway – Underline your volunteering opportunities in such a way that the volunteer feels involved and have a sharing platform for recognition of their abilities. As an employee in an organization is given the responsibility as per his/her expertise, similarly take in volunteers into project or programme implementation or management or IT as per their strengths, knowledge and proficiency. This is most effective method of tapping volunteer strengths. The high performing volunteers should be encouraged and empowered with your Nonprofit’s resources. 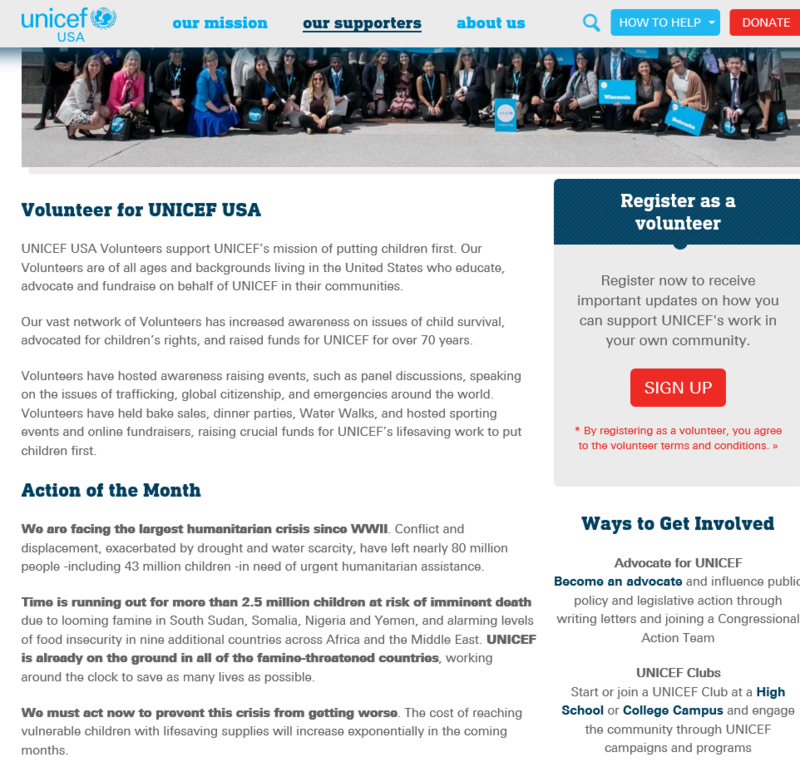 Unicef USA details out the various fields or action that needs to be taken every month. Through a user friendly website it clearly mentions the ways to get involved, either by joining a group or becoming an advocate or organizing a fundraiser or event. Takeaway – Expand your volunteer base by attracting and integrating volunteers from various walks of life, age group and fields of expertise. As a Nonprofit, if any organizational work entails to do something from home like research or developing communication material for advocacy or writing blogs or designing websites you can reach to volunteers around the globe. Their involvement can be highlighted on the volunteers’ page of your website. Another creative way is to give a certificate of appreciation at the end of their volunteering. 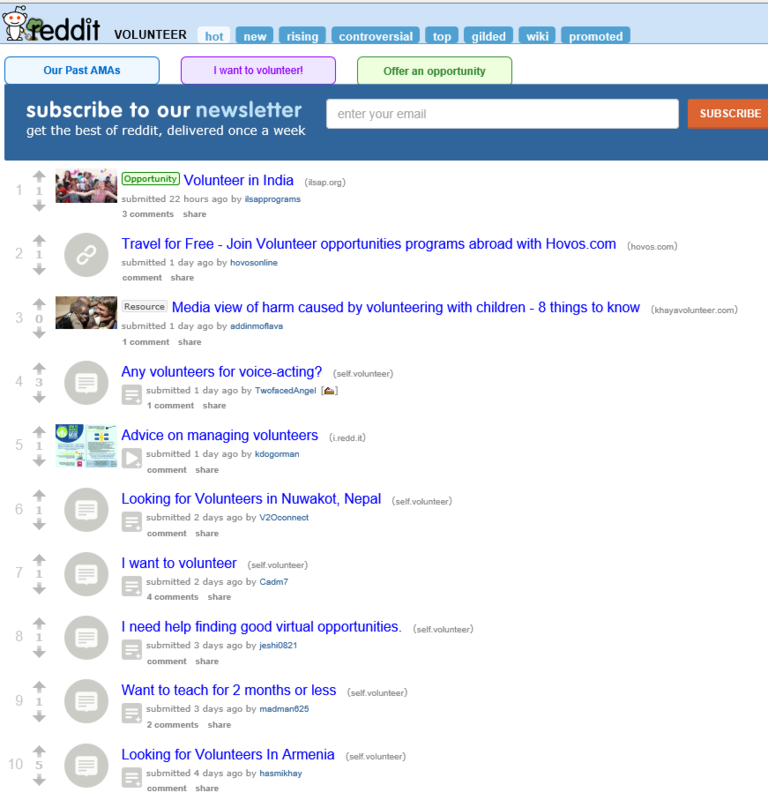 Volunteers can be found on Reddit or also on United Nations Volunteer page. Takeaway- Always conduct a volunteer survey to gauge their reactions towards your organizational work, management and their experience. Rating scales are great way to accurately gauge respondents’ thoughts. 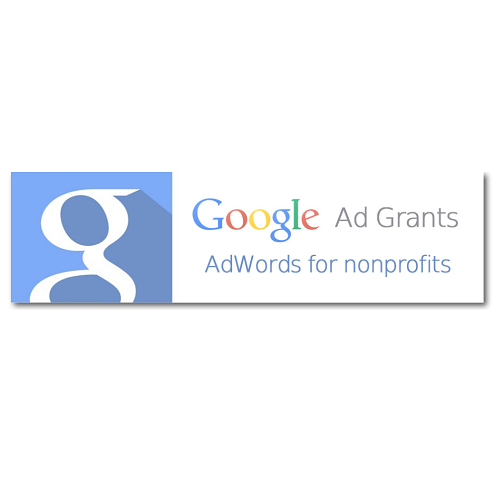 Promote your Nonprofit’s volunteering opportunities on social media platforms. Communicate with interested volunteers through Facebook, LinkedIn, Email or SMS. It is always advisable to recruit new forms of technology for communication. New technology should be adopted to track volunteer time, match volunteers to service opportunities, and communicate with volunteers via mobile devices. 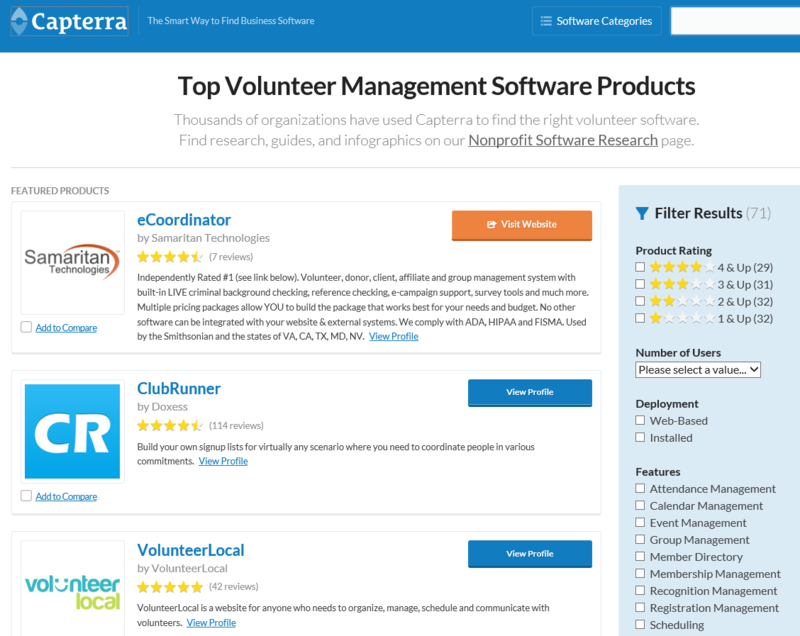 Volunteer management software’s like InitLive or Capterra offer database solutions for scheduling and managing volunteer work flow. Takeaway– Ensure that your Volunteering sign up page is mobile friendly. Link your volunteering page to social media sites. The first step to attract volunteers is a personal ‘ask’. Initial apprehensions minimises when recruiters talk personally about the various volunteering opportunities. Tell volunteers either through phone or meeting or mail as to the difference they will make to the organization with their skills. Maintain a high motivation by appreciating and rewarding the volunteer’s achievements. 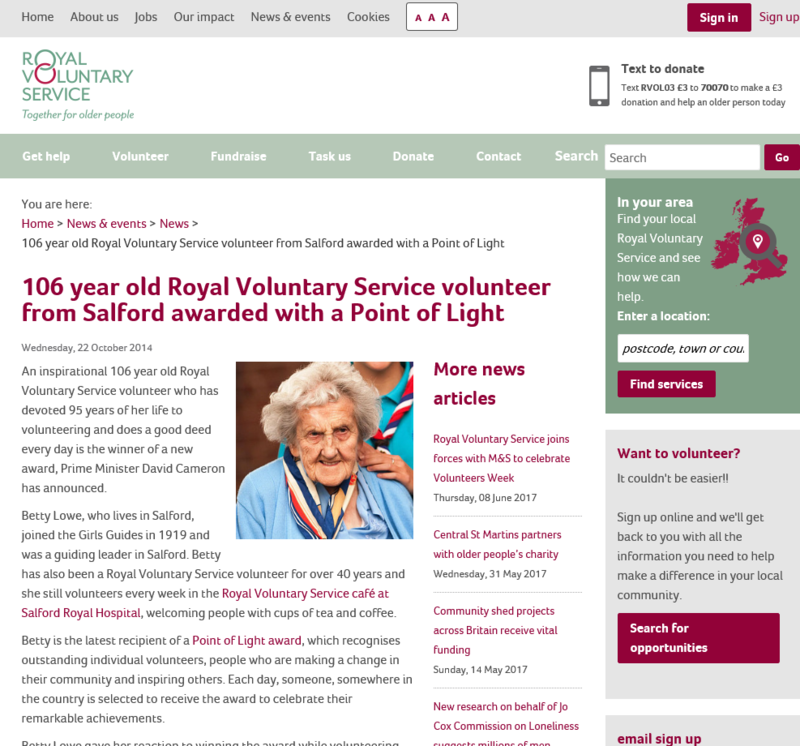 Royal Voluntary Service a volunteer organisation that enriches the lives of older people and their families across Britain has an inspirational 106 years old volunteer, Betty Lowe. She has been a volunteer for 40 years and was honored with a Point of Light Award which recognizes those who make an exceptional difference to their community, by David Cameron. Takeaway – Connect with phrases like “There’s a lot you can do” or “We are so glad you are here”. Make the volunteer’s time with your Nonprofit memorable by having a dinner or going for an event or game of basketball.